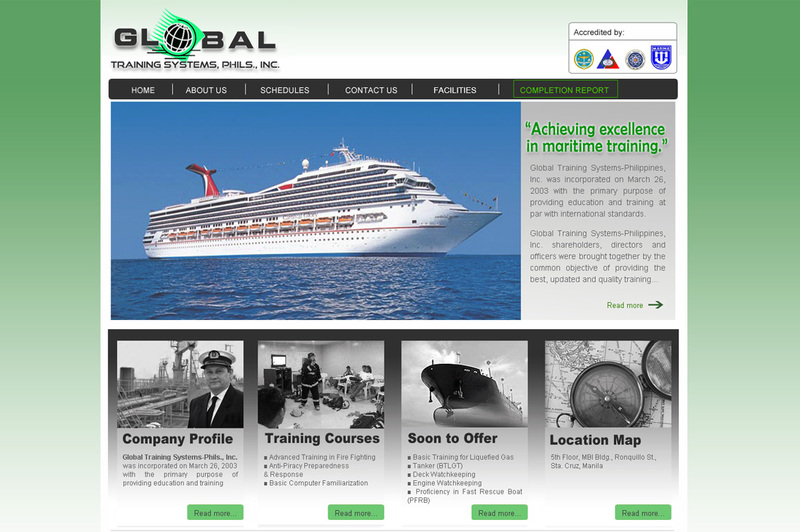 Global Training Systems-Philippines, Inc. (GTS) focuses primarily on training courses relevant to IMO's STCW requirements and those authorized by the Training Council (MTC), Professional Regulation Commission (PRC) and the Maritime Industry Authority (MARINA). For more information on their services, please visit http://www.gts-phils.com/. Let us manage your website and webhosting. Sign-up here!